Alexus Boykins was born and raised in McDowell County, North Carolina. She found her love and voice for inspiring community driven changes through the West Marion Community Forum. She started a small working group called Project Revive to help unify, uplift, support, and encourage the youth of the community. She served as the Youth Coordinator for the Keeping It Fresh Community Garden. She is a single mother to a handsome six-year-old little boy. Alexus enjoys watching her son play little league baseball and spending time with close family and friends. 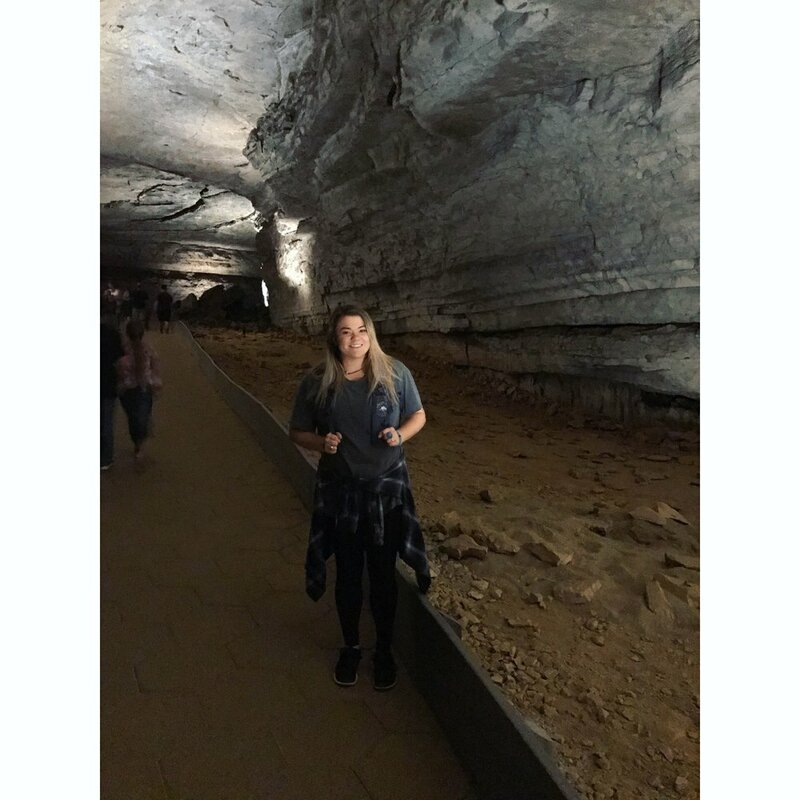 She also enjoys meeting new people, volunteering in the community, trying new food from different cultures, and hiking adventures in the Appalachian Mountains. Amanda Gribble is a West Virginia native and 2013 alumna of WVU with a B.A. in International Studies of Latin America. After graduation, Amanda spent the next four years in a multitude of spaces: WV organic farm apprentice, co-op worker in Knoxville, and homestead intern in Charlottesville before founding her own small farm business, Lobelia Understory Edibles, in December 2014 that specialized in value-added products like naturally fermented sauerkraut, sourdough bread, mushrooms, wildflowers and vegetables.Before moving to the coalfields in 2018, Amanda worked as the Education & Outreach Coordinator for West Virginia's only fair housing initiative program, and is deeply committed to food, racial, and economic justice in Appalachia. In her spare time, you can find her in the garden or on the front porch of her cabin in the woods. Brandon Jent is a native of Whitesburg, Kentucky. He is currently finishing his Master's degree in Linguistic Theory and Typology at the University of Kentucky and focuses on the intersection and interaction of language and society, with a specific interest in Appalachian dialects of English. Brandon isn't only interested in the literal voices of Appalachians, however, but the figurative ones as well; his previous experiences as a Summer Documentary Institute intern of Appalachian Media Institute and his subsequent year as an AmeriCorps VISTA in Whitesburg taught him the importance of lifting up and amplifying Appalachian voices, as well as the need for community agency in the process of economic transition. Brandon is thankful for the opportunity to return home to work towards the betterment of the place he loves most. Courtnie Caldwell was born and raised in Hazard, KY. She grew up loving the mountain and public service. She spent countless hours dedicating her time throughout her years to her community by participating in local food drives, fundraisers, organizations such as “Shop With a Fire Fighter” and “Make-a -Wish”. Her senior class was awarded the group youth volunteer service award in 2011. She has since been part of Greek organizations spending her time with their philanthropies like the Girl Scouts of America. The mountains of Eastern Kentucky have always been home and she is excited to return and work hard to better her community and put Hazard’s best foot forward. A lover of the mountains and its people, Kandi Workman is a lifelong resident of southern West Virginia, where she is now raising her three children as a single mom with a community of support. Coming from a family steeped in the traditions of coal-mining, she has experienced first hand the ups and downs of this kind of livelihood, and acknowledges how difficult transitioning from this way of life can be in all its facets--financially, culturally, environmentally, etc. Upon broaching mid-thirties, Kandi returned to school to seek experiences and education life had not yet afforded her. In 2015 she graduated from West Virginia State University with B.A. of English--literature, technical writing, and professional writing--and has since been a part of the WVSU ESL program as a language partner, tutor, and teacher. 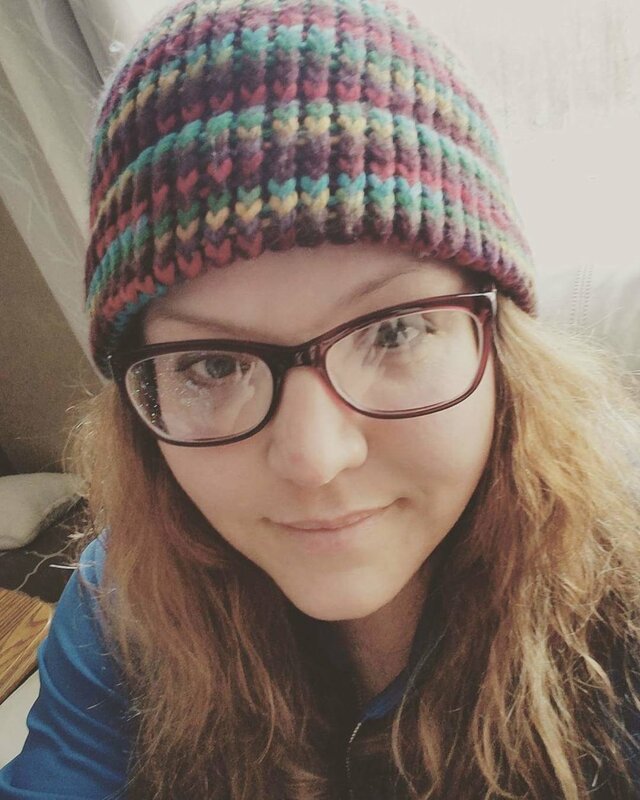 In 2016 Kandi began her work with the AmeriCorps VISTA program with Step By Step. Kandi is committed to making southern West Virginia a place of comfort and joy for future generations. Katie Myers grew up on the Eastern seaboard and moved to Knoxville in 2014, where she completed her bachelor’s degree at the University of Tennessee, Knoxville. There, she undertook participatory research in rural development in Appalachia. 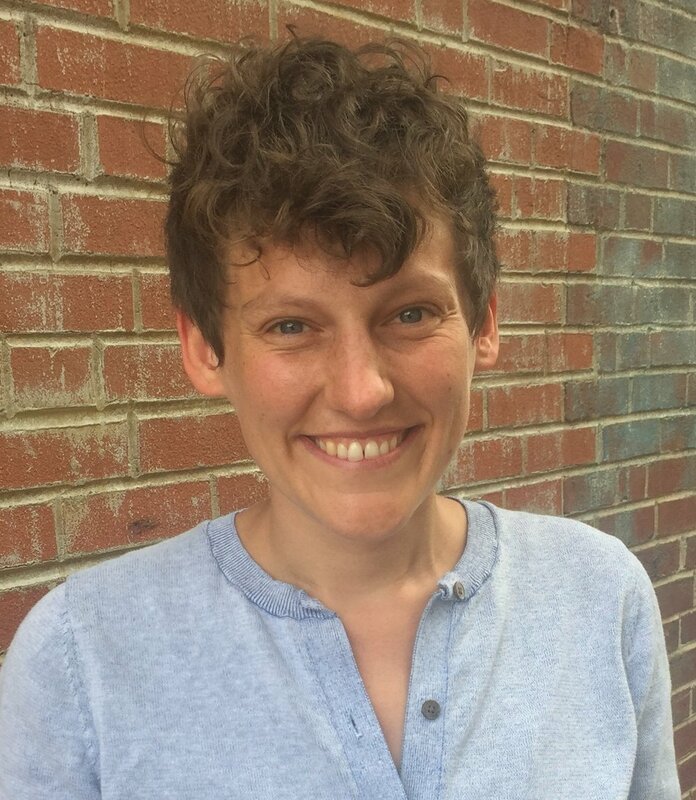 Katie’s work is led by her values of redistributive economics and resource sovereignty for marginalized people, and she has lent support to immigrants’ rights ,anti-racist, environmental justice, and youth organizing projects both in Appalachia and elsewhere. Previously, Katie worked for Inskip Elementary School’s after school drama program, and for East Tennessee PBS’ ongoing documentary project, Black in Appalachia. She has also spent time in southern Mexico and the borderlands of Arizona, working in solidarity with the indigenous peoples of Mexico and Central America. In her spare time, Katie writes a lot, stomps around the woods, and practices Spanish by watching telenovelas on Netflix. Olivia Lowery D’Amato is from Big Stone Gap, Virginia and found her love for Appalachia through traditional music. As a first-generation college student at Hollins University, she studied sociology and was inspired by movements in the Appalachian region and the South to work in her home community for change. Olivia has been working with young people in the Appalachian region for the past two years to make Appalachia a place where all youth feel prioritized and equally invested in through the Stay Together Appalachian Youth Project. She is so grateful to serve the region that has given her so much and to continue building on the work of those who have come before her. Morgan Pennington grew up in north Alabama’s Tennessee Valley. Their formal education is from the University of Montevallo in Alabama, where they studied Environmental Studies and Spanish. Their organizing education comes from learning from other grassroots organizers, such as folks in Alabama’s Black Belt fighting for environmental justice, and those resisting gentrification through building a community land-trust on Dynamite-Hill in Birmingham, AL. Most recently Morgan was working as an educator at McDowell Environmental Center, in Winston County, AL. They are passionate about youth organizing and popular education and are working on related projects in their personal time. Morgan is passionate about building community power and autonomy and organizing for social, political, environmental, and economic justice. They enjoy spending time with friends and family, practicing the banjo, making plant medicine, and dancing. They are so excited to be placed with the Woodland Community Land Trust and Statewide Organizing for Community Empowerment. Raynalle Rouse was born in Washington DC to Reginald and Monique Rouse. Throughout grade school she participated in many school organizations as well as theatrical productions. Once in college at West Virginia State University, she majored in communications, focusing on theater. This contributed to her passion to be a voice for traditional students. She was also a member of the campus quiz bowl team, extension services and the student activities. In 2016 Raynalle became an Americorps Vista donating a year of her life to fighting poverty in America. As a Vista she was able to learn how to navigate social changes while also mobilizing the community. Raynalle hopes to advance her social organizing skills during her fellowship with Highlander Center for Research and Education. Ricki Draper grew up in Greensboro, North Carolina, but has also found home and community in Eastern Tennessee and Western North Carolina. Ricki has supported a variety of community-based projects including coordinating an oral history project with Southern Appalachian Mountain Stewards in Wise, County, VA; developing programming at a community center in Knoxville, TN; assisting with research on the indigenous-led movement in Standing Rock, North Dakota; and participating in a land reform study on the Navajo Nation. Ricki is passionate about building political power, listening to stories, and believes strongly in the potentials of community organizing. She received a B.A in Social Practice and Sustainability in the Anthropology Department at Appalachian State University. Southwestern Virginia is home for Shannel Arellano. Shannel’s mother’s family has deep roots in the region. They’ve lived in the mountains for 4 generations, working in the coal fields of Russell and Tazewell County Virginia, while their father was the first of the family to immigrate to the U.S from Jalisco, Mexico. Shannel is a documentary filmmaker, driven by stories of people and the complexities of place-based identity. Their work is grounded in community development and they see art as a reflection of a region’s challenges and growth. Shannel is a first-generation artist and college graduate. Shannel holds a degree from Radford University’s Media Studies Program and is an Appalachian Media Institute alum.